The evidence has been well hidden—the Thayers were confident that it was safe from the clutches of the ruthless Murphy Gang. But is has all been in vain. The lawless group is closing in on the family homestead, and seven-year-old Penny is given only one instruction: Run. Charged with the protection of little Penny, Julia quickly finds herself relying on the help of Tom Harrison, an endearing young man who has long admired her from afar. Torn between two suitors, Julia soon uncovers a shocking trail of corruption and deceit—a discovery that pulls her inescapably into the race to locate telling evidence that Penny's family gave their lives to protect. Oh my goodness this book was so good! I was on pins and needles the whole time. Betrayed starts off strong and barely gives you time to catch your breath until the last page. Ronda creates a perfect web of secrets and with every page there was something new to worry about. Just when I thought I had it all figured out, BAM! Another exciting twist. Julia was amazing and I really, really liked Tom. Adam, well, he had issues. Sometimes I would be yelling in my head at him (and Julia) while I was reading. I loved the setting of Niagara Falls and this cover is so beautiful. What was really intriguing was the Underground Railroad twist. I loved how involved Julia and her family were in protecting others. Who stole the show for me was Penny. She was so brave and had to endure so much. I thought the ending was fantastic and bittersweet at the same time. This book has a great mixture of romance, adventure, and suspense! I enjoyed Niagara Falls as the setting for this historical novel. The author does a great job of drawing readers into the story by believable characters. I especially liked the heroine, Julia Barrett and couldn't put the book down until I felt she'd trusted the right man. Living in an idyllic town by Niagara Falls in the mid-1800's, the Barrett family rarely faced anything more exciting than hiding a few slaves who came their way through the Underground Railroad, and turning away the occasional slave hunters. That is until the peace and quiet of the town was disrupted by some members of a gang from far-off Missouri. The last things the townspeople expected to face were murder, extortion, arson, and counterfeiting. A touch of magic and family ties woven into this story make for a delightful read! 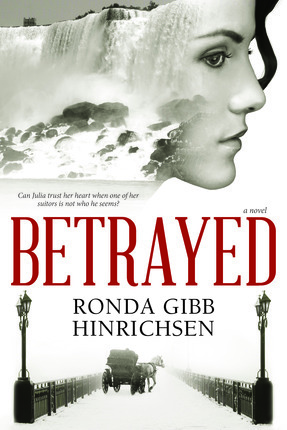 BETRAYED has twists and unexpected turns throughout the entire story. I love how the writer entwined the richness of the historical time and events into her writing. The characters were totally believable and I felt attached to each one of them. 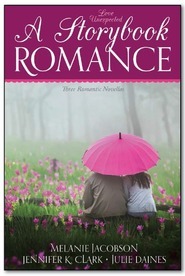 I would highly recommend this book to anyone who enjoys a little romance, mystery, history and a great storyline. Rhonda has once again proven herself as an excellent writer. Jane Still author Mothers Daze and Crazy Daze of Motherhood.